Uzbekistan ranks 11th in the world in natural gas production, third in the world in the export and the sixth place in cotton production, seventh in the world in uranium reserves (4% of the uranium world reserves). For a total gold reserve of Uzbekistan are the fourth in the world and the level of production of gold – the seventh. During 1991 – 2013 years, the economic structure has changed dramatically: the share of agriculture in GDP declined from 37% to 17%. The volume of GDP at purchasing power parity in 2015 – US $ 185.8 billion. Weaknesses: dependence on cereal imports, domestic production covers only 25% of the demand. Lack of economic reforms. The structure of GDP by economic sector is the next. The share of agriculture in GDP – 17.6%, the share of services in GDP – 50.5%, industry in GDP – 24%. Employment: 44% in agriculture, 20% in industry, 36% in services. The complexity of evaluating the current economic situation in Uzbekistan is contradictory information about this country because of its closeness. The reliability of the official statistics of the State Statistics Committee of Uzbekistan questioned experts. At the same time, the State Statistics Committee Information Service kindly requests using statistics only refer to the official site of the State Statistics Committee. Consulting Company Focus Economics presented its ranking of countries in terms of GDP growth for this year, according to which Uzbekistan is ranked seventh. In the first place, analysts predict Turkmenistan with forecast GDP growth of 8.8%. This is followed by Ethiopia – 8.1% and Myanmar – 7.9%. 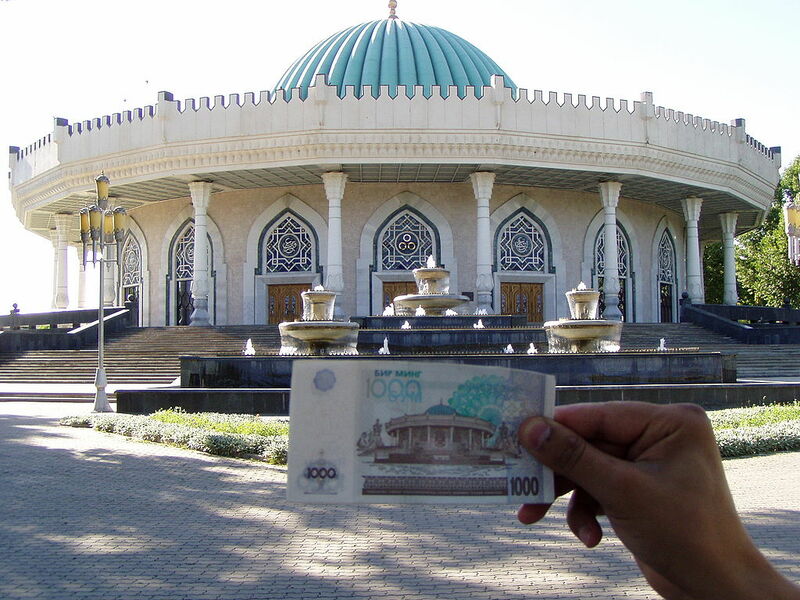 According to the company’s forecast, GDP growth in Uzbekistan will amount to 7.2% this year. China (6.5%) and Sri Lanka (6.3%) close the list of countries. All in all it represented 15 countries. The same list but only outsiders growth topped Venezuela. Forecasts of economists in regard to the dynamics of the GDP of the country amounted to minus 4.8% in 2016. This is followed by Brazil with the index minus 2.6%, and closes the top three Ecuador (-0.8%). In turn, the World Bank experts predict that Uzbekistan’s economy could grow by 7.5% in 2016, exceeding its forecast for 2015. These figures are contained in the latest report of the bank’s “Global Economic Prospects”. Slightly better look official figures of the authorities. Speaking in January at the enlarged session of the Government, the President of Uzbekistan Islam Karimov said that the GDP growth is projected at 7.8% this year. “We set ourselves the task to ensure this year’s GDP growth at 7.8%,” – said the President. This 8.2% is expected to increase production in industry, in agriculture – 6.1, retail trade – 14 and services – 17.4%.